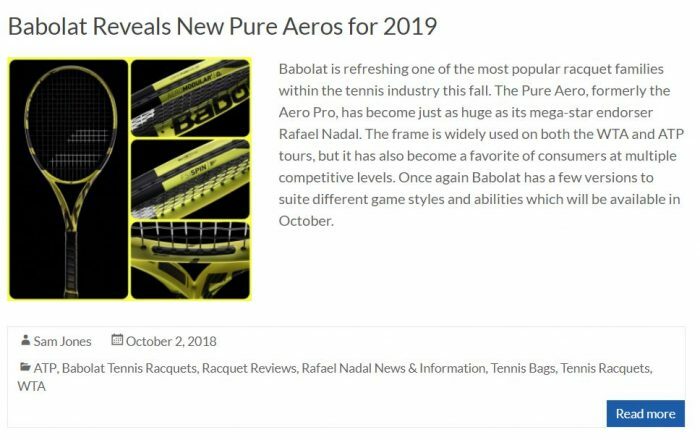 Babolat continues to incrementally update one of the most popular racquet lines in the world, the Pure Aero. Building off of the previous update, the 2019 Pure Aero retains all of the hallmarks and incorporates some technology advancements. Cortex Pure Feel, using a visco-elastic rubber called SMAC, has been implemented at 3 and 9 o’ clock for improved dampening and a smoother feel. 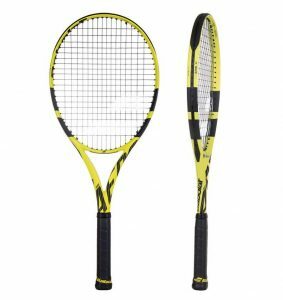 Babolat has also introduced Carbon Ply Stabilizer in the throat for improved precision and stability. FSI Spin uses wider string spacing, oblong grommets and Woofer tech to amplify spin and power. With some key upgrades, especially in the feel department, I was anxious to see how the newest edition of the Pure Aero line performed on court. From the baseline, the Pure Aero retained the effective, easy power it has always had. The firm 23/26/23 mm beam offered ample power from both sides. The manageable 11.1 oz strung weight and head light balance made it easy for me to whip the frame through contact, creating large amounts of pace and spin on both wings. The 100 inch head had a generous sweet spot with plenty of forgiveness off center. The FSI Spin pattern and grommet tech gave the frame heavy spin production and I enjoyed being able to produce a lot of air on my shots, especially the backhand. I was able to vary spin and net clearance easily during rallies and used it as a huge asset when stretched out on defense. The struggle point for me with the new Pure Aero was the same as it has always been. The frame simply is not great at controlling flatter shots. I sent my fair share of short balls sailing long when I tried to flatten them out in the middle of the court. The racquet was impressively stable for its weight and I was able to defend against bigger hitters pretty easily and redirect their pace both cross court and down the line. At net, the Pure Aero was an aggressive weapon. It was very quick to position, ensuring I always had the upper hand in quick exchanges. The easy power made quick work of anything left up for me to attack. The chunkiness of the beam sometimes made it feel a bit awkward to maneuver, especially when fighting off shots close to my body. Sometimes when I wasn’t fully committed, the racquet tended to float volleys more than intended, giving opponents an extra look at it. The addition of Cortex Pure Feel made a big improvement in feel with volleys. I was much more confident attempting touch and drop volleys with this version than previous iterations. I’d still prefer a bit more flex to the frame to really vary my volley game but this was a step in the right direction for me. The 2019 Pure Aero put on a lesson in power serving, much like previous versions. The impressive acceleration at the top of my motion gave me plenty of pace on flat serves. I consistently won free points on my first serve by hammering serves down the T on the deuce side. Body serves were also very effective as the ball just came in so hard that opponents had little time to do anything offensive. Directional control wasn’t amazing (the Tour model is better) but I found enough accuracy to move my serve location around and keep returners guessing. Spin was readily on tap for kick and slice serves. Kick serves jumped of the court and were a strong mix of pace and action. Slice serves were fast and slide wide, allowing me to leverage the patented Nadal pattern on the ad side of slicing the serve wide and then hitting to the open court. 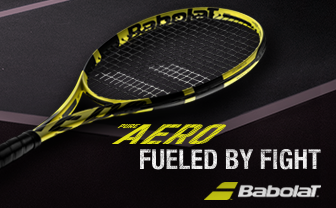 Babolat has really smoothed out the rough edges with this version of the Pure Aero. The addition of SMAC into the layup of the frame produced a cleaner, softer response on contact. I could still feel (and hear!) the stiffness of the frame, but Babolat has been steadily moving from the raw feel of earlier versions to something a bit more “civilized.” The ball still exited the string bed incredibly quickly so the frame doesn’t have that same pocketing feel of a more flexible frame. I’ve had arm issues with previous Aero models but was able to play this new one without issue. 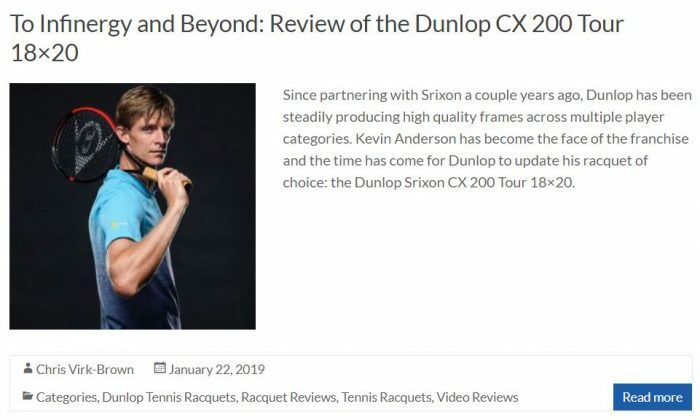 Sensitive players would still want to use a softer string since, as with any of the new rubberized materials being used now –SMAC, Countervail, Kraibon/Graphene Touch – it is still only masking the inherent stiffness of the frame. The newest version of the Pure Aero continues to refine the tried and true formula of the line. It boasts other worldly spin and power production that contribute to both strong offensive and defensive play. Players can dictate on serve and attack the net with a frame that plays with a bit more refined feel and response than prior versions. 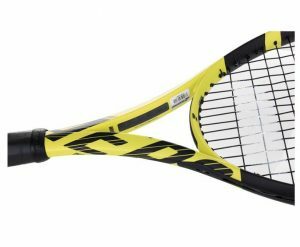 The 2019 Pure Aero continues to be a racquet that players at any level can pick up and confidently take into battle. Get yours today at Tennis Express!